Metal head. 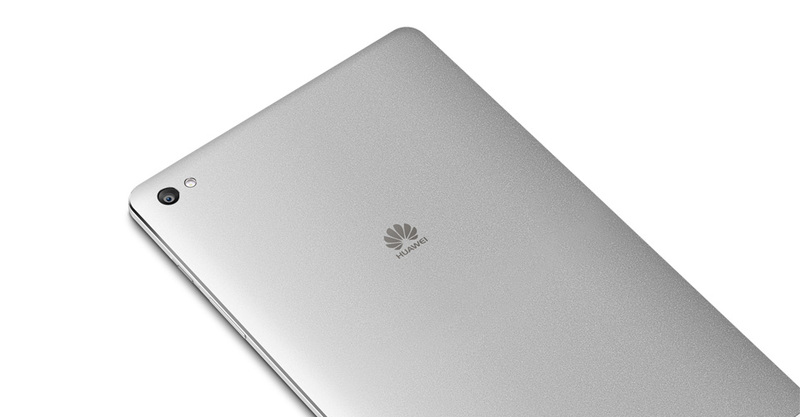 Unlike its precursor, Huawei's MediaPad M2 8.0 is now covered in a metal casing. Once again, the tablet scores with a potent HiSilicon Kirin Octa-core processor, decent HD IPS touchscreen, and great battery life. The latest Android 5.1 operating system and fast Wi-Fi round off the couch surfer - a good deal for around 280 Euros (~$306). Positive: Metal case; solid workmanship; good screen; quality sound; support LTE. Negative: No headset included; mediocre cameras. Positive: Metal case. Negative: Mediocre battery; weak hardware; not good price. Positive: High quality sound; good display; high quality body materials, strict design; productivity and well-balanced processing. Negative: Mediocre cameras; modest gaming performance. 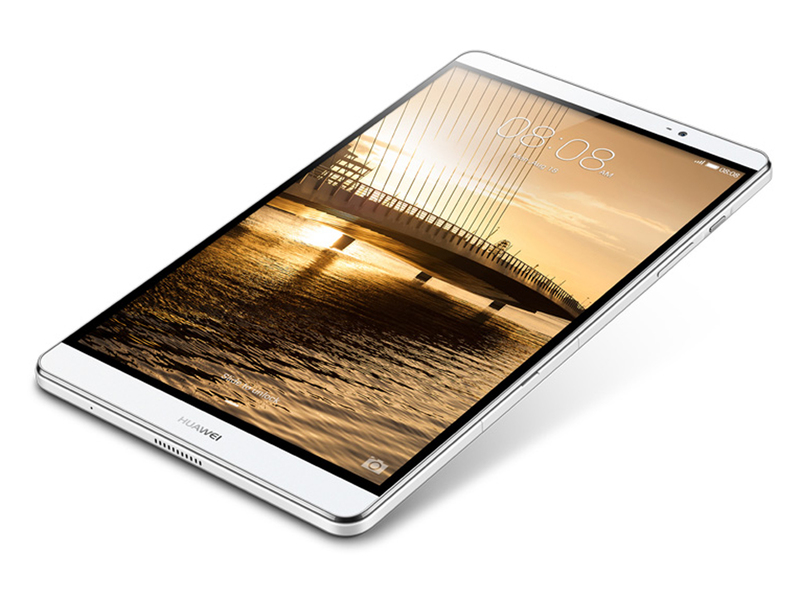 Model: The Huawei MediaPad M2 is an 8” tablet with a weight of 0.33 kg, which carries the promise of a reasonable media consumption device. 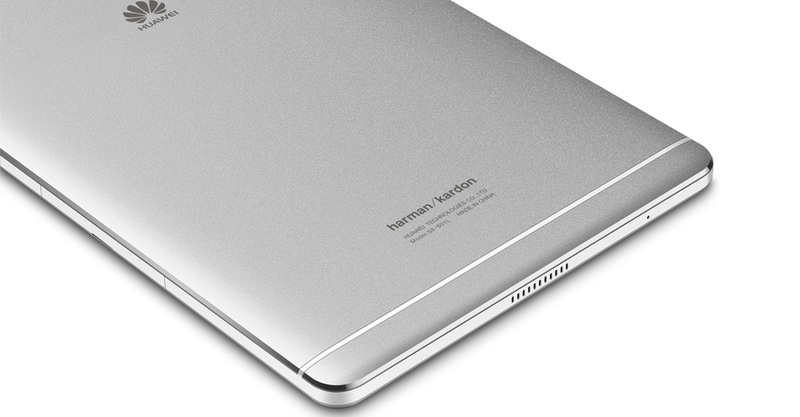 Inspired by classical music, this tablet brings about the theme through providing the best-in-class audio with its dual speakers, large chambers, SWS 2.0 (Super Wide Sound) and Clari-Fi music restoration technology by Harman Kardon. This technology comes with a PA power amplifier, which allows the creation of clear audio even when amplified. This gives an enhanced experience for users especially when watching movies or listening to music at high volumes. The theme of classical music can also be seen in the model's sleek all-metal design, with lines running through the edges and sides of the tablet imitating the look of a music sheet. Besides, this model also sports a 1920 x 1200 Full HD IPS display which is tested to be 67 % sharper than average tablets. Coupled with its Color Plus, Sun View and Eye Care features, the MediaPad M2 is sure to be a vivid visual delight for users regardless of location and brightness level. 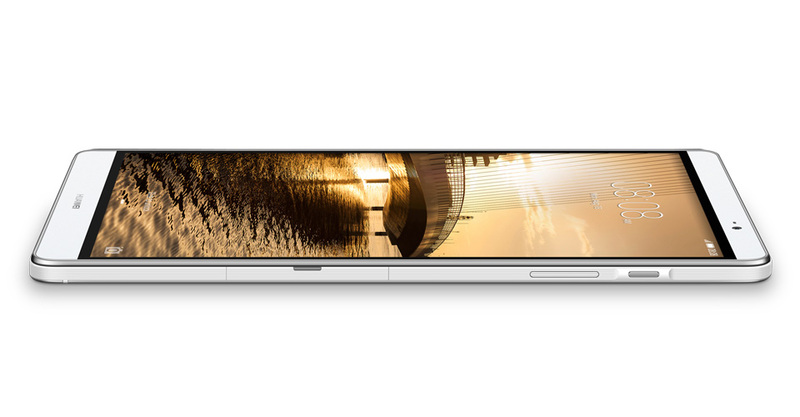 This model is powered with Huawei's own Kirin 930 octa core processor clocked at 2 GHz, which is above average and translates to better multi-tasking capabilities and lower power consumption. It is also packaged with Android 5.1 Lollipop, 16 GB internal storage, and a 4800 mAh battery that can last up to 30 hours. The storage capacity can be expanded by up to 128 with a microSD card. 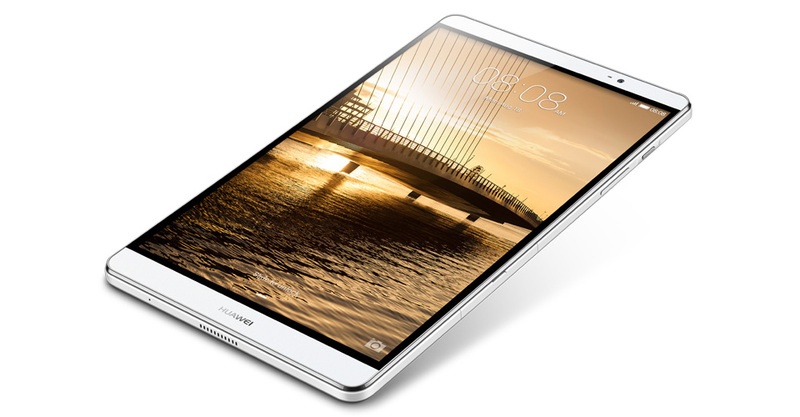 With such competences, it is no wonder that the MediaPad M2 is a part of Huawei's flagship series. ARM Mali-T628 MP4: Integrated graphics card (for ARM based SoCs) for smartphones and tablets. Features 4 cores (MP4) and supports OpenGL ES 3.0 Only some 3D games with very low demands are playable with these cards. » Further information can be found in our Comparison of Mobile Graphics Cards and the corresponding Benchmark List. Kirin 930: ARM based octa core SoC (4x Cortex-A53e up to 2 GHz and 4x Cortex A53 up to 1.5 GHz). » Further information can be found in our Comparison of Mobile Processsors. 86.6%: This is a good rating above average. Nevertheless you should not forget, that 10-15% of all notebook-models get a better rating.